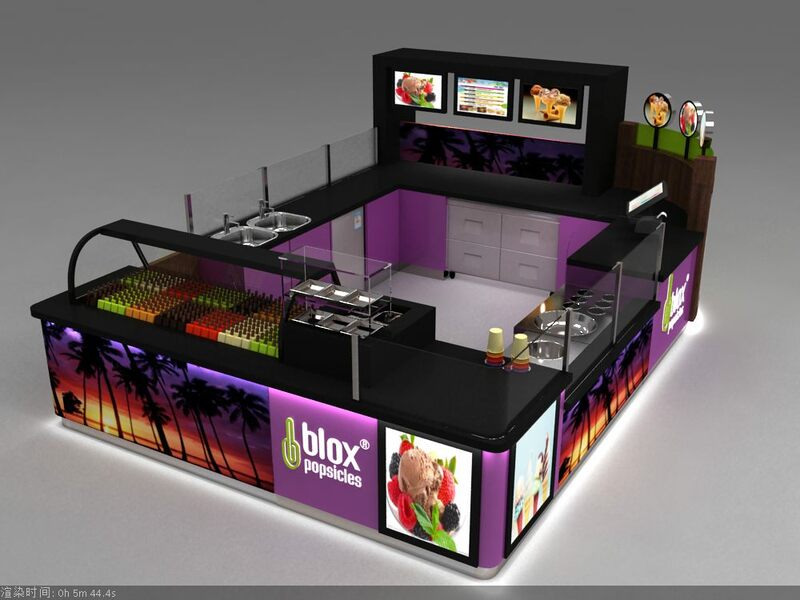 Open a ice cream kiosk in mall is not a small invest , especially for those new business starter. How to find a high quality ice feral kiosk or popsicle kiosk with a low cost is becoming a big headache. With the developing of logistics in this century . More and more products are shipped by sea or by air to different countries and cities . So this give an good opportunity that people can source a lower cost mall kiosk for overseas. People have more choice instead of only getting it build from local contractor. 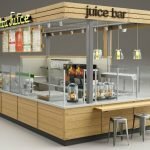 How to get a mall wooden kiosk with low price ? If you want a custom mall kiosk like this style or retail kiosk design. 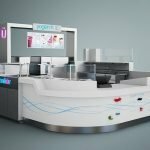 Unique kiosk can provide you ,just need to sent us an email ,we will reply asap. 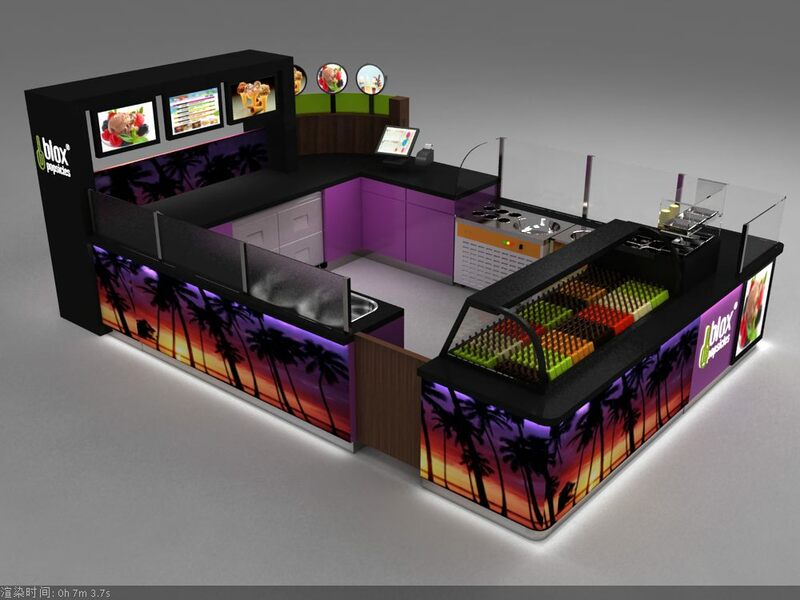 To get a mall wooden kiosk with customize ideas . The order procedure are here. contact us sales team and tell us your custom requirement. pay 300-500 usd design deposit , we start design. pay balance payment and we arrange shipping. There’s a small bar counter behind the kiosk where people can siting and eat . 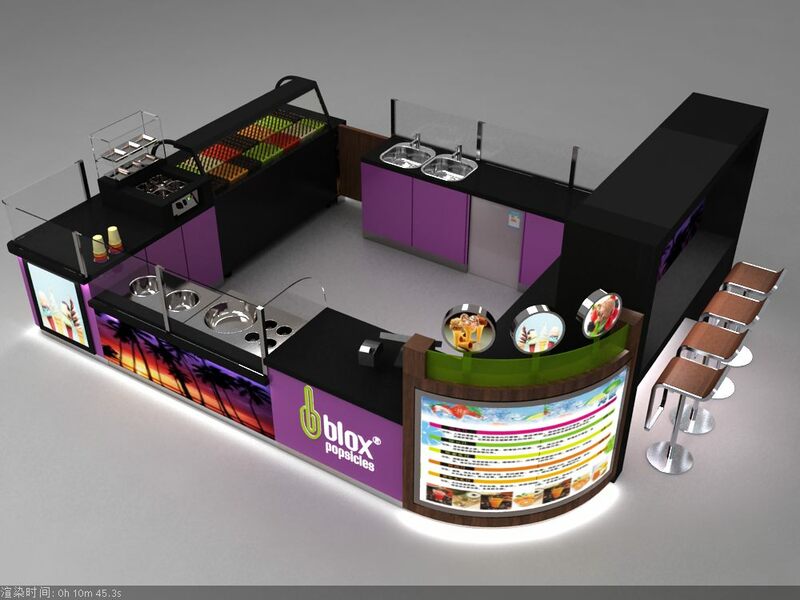 This a nice design for most of the food kiosk , Because many take away food kiosk are always very busy. owner do not want to waste any space . In fact this is a customer friendly design . 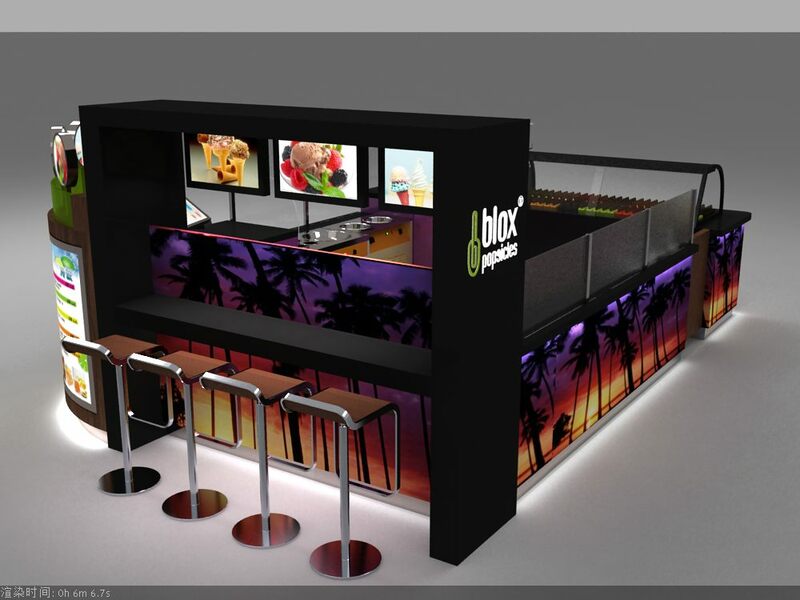 you can get more customer and better feedback from this single small bar counter. 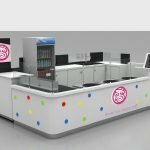 This front display showcase are for Popsicle and ice cream display. 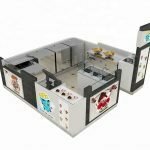 If you want to adapt this design into a fast food kiosk or donuts kiosk display ,you can change this part into a working bench or retail counter.